If you are well acquainted with the meaning of MLB, NBA, NFL, NHL and US Open, then you’re in the right place! New York City hosts some of the greatest sporting events in the country, from football, basketball, baseball, tennis, hockey to boxing and wrestling. If you want to see your favorite athletes in action, check the event calendar of these top sports venues in NYC. Getting there from the Manhattan at Times Square: Take the 1 train (red) at 50th Street station and exit at 34th Street - Penn Station. Walk one block. Sports to watch: Basketball, hockey, boxing, wrestling. 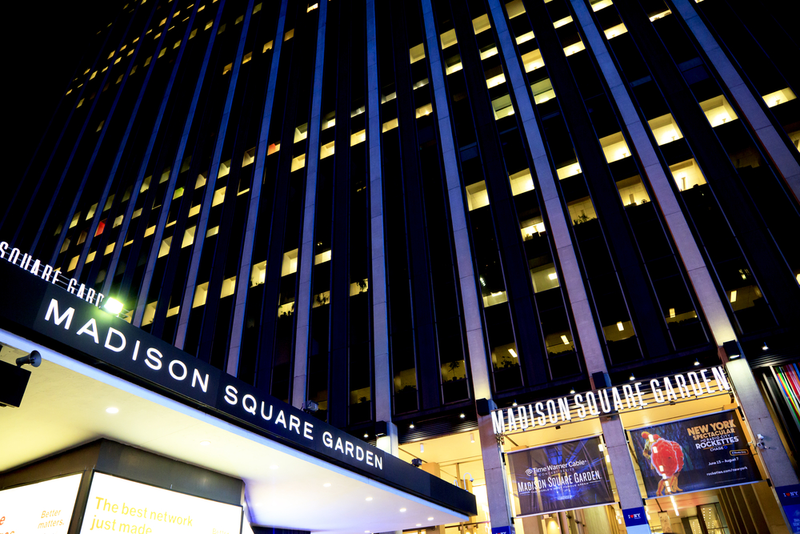 Home to the New York Knicks and the New York Rangers. Getting there from the Manhattan at Times Square: Take the D train (orange) at 7th Avenue station heading Uptown. Exit at 161st Street/Yankee Stadium station. Sports to watch: Baseball. Home to the New York Yankees. Getting there from the Manhattan at Times Square: Walk to Times Square and take the 2 or 3 trains (red) at Times Square - 42nd St station heading Downtown/Brooklyn. Exit at Atlantic Terminal-Barclays Center station. Sports to watch: Basketball and hockey. Home to the New York Islanders and the Brooklyn Nets. Getting there from the Manhattan at Times Square: Walk to Times Square and take the 7 train (purple) at Times Square-24th Street station heading to Queens. Exit at Mets/Willets Point station. Sports to watch: Baseball. Home to the New York Mets. Getting there from the Manhattan at Times Square: Take the 1 train (red) at 50th Street station and exit at 34th Street - Penn Station. At Penn, proceed to NJ TRANSIT concourse and take any NJ TRANSIT train to Secaucus Junction (SEC). At Secaucus Junction, show your rail ticket at the gate and then follow the signs to the lower level for the short train shuttle ride to the MetLife Stadium. Sports to watch: Football. Home to the New York Giants and the New York Jets. Are you a fitness fiend as well? New York has a good network of biking and running routes. What’s more, Chelsea Piers is a top NYC attraction that sports fans shouldn’t miss.